Is 2018 the long-awaited year for Virtual Reality? While the technology is still advancing and getting more better, and while tech giants like Oculus, HTC and Samsung continue to work on their consoles and gadgets, things look encouraging and hopeful for the industry as virtual reality platforms begin to appeal to the masses. 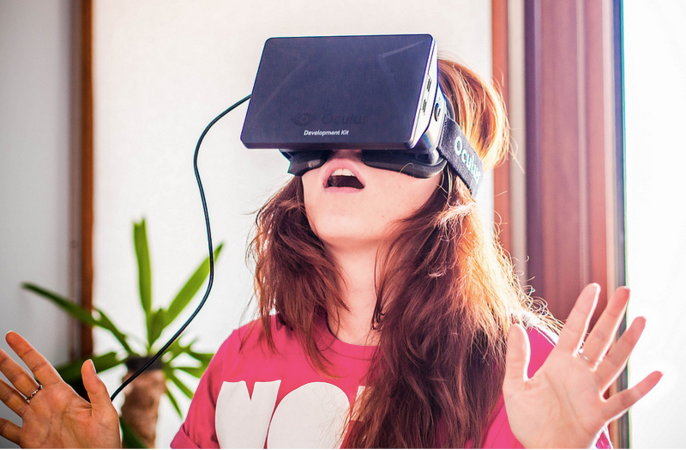 What do we think of when we hear the word virtual reality(VR)? Do we imagine someone wear a clunky helmet attached to a computer? But actually virtual reality is a technology that allows a user to experience and interact with real or imaginary computer simulated environment. 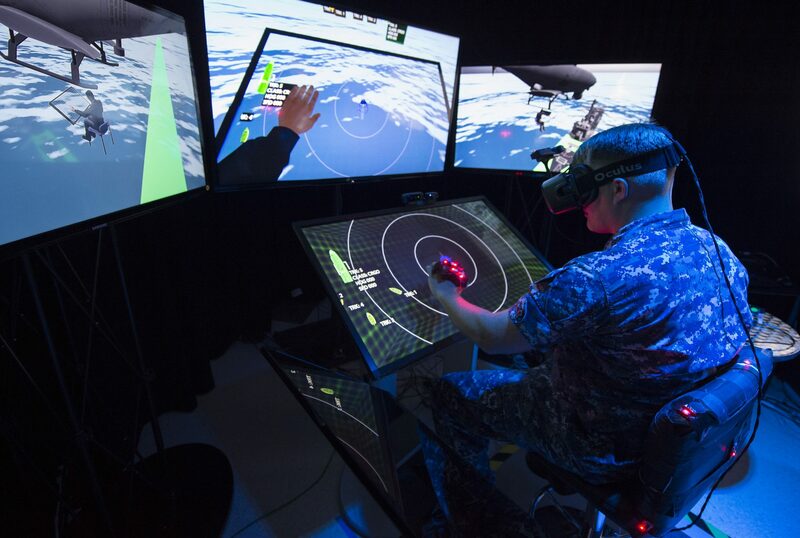 The simulated environment can be similar to the real world, for example, simulations for pilot or combat training, or it can differ from reality, as in VR games. In such virtual reality environment, a user experiences immersion, or the feeling of being inside and a part of that world. A user can interact with his environment in meaningful and realistic ways. A VR can be effective if it make us unaware of our real surrounding and emphasize us to focus on our existence inside the virtual world. Most current virtual reality environments are primarily visual experiences, displayed either on a computer screen or through special stereoscopic displays, but some simulations include additional sensory information, such as sound through speakers or headphones. Far from being a technology of the future, virtual reality is now well established in multiple industries and sectors, ranging from entertainment, communications and educations to design, scientific research and defence to engineering. At the beginning of 2017, Samsung announced that it had shipped over five million GearVR devices to convert its high-end smartphones into head mounted displays such as Google Cardboard, allows user to immersed inside a computer-generated image. By turning their heads, they can experience a virtual scene as if it was surrounding them. More advanced systems such as the HTC Vibe and Oculus Rift add motion tracking of the head-mounted display and handheld tracking devices, which allow the experience to be much more real and interactive. 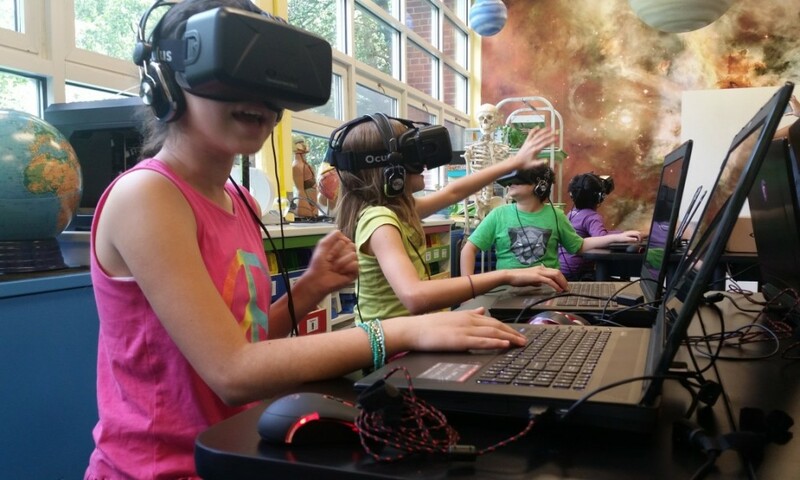 Education is the future of society and virtual reality is making our future real. For many years, schools and universities have had to change the way they work and teach in order to fit in with technology. Software like powerpoint, for example, which has long been used as an education tool, was not designed for education. Research shows that software such as powerpoint can homogenise and sanitise the way teacher present information to their students. For a number of years, teachers have been customising their own virtual world to enhance the way they represent content. Virtual world allow teachers to take students to otherwise impossible locations. Science, medicine and maths tend to be particularly suited to vitual environments. Research is starting to provide examples of where and when these technologies may fit into the pedagogical repertoire of teachers. Engineering is still a challenging area for VR, as engineering models are large and complex. It is clear that engineering is a field where VR is already making huge impact. In general, it allows access to situations or simulations that would otherwise be difficult to visualise or inaccessible to anyone except the specialists involved. There are a number of opportunities for companies to innovate in this area through software that combines established engineering tools with the new interactive opportunities of virtual reality.